The Northwest Passage has a full assortment of outfitting items (tents, stoves, water storage, tarps) along with our SUP, Kayaks, spray skirts, paddles, PFDs, and other paddling accessories for sale year-round. Equipment has been used for programs and local trips. For information on specific boats or other equipment please email us at info@nwpassage.com or go to our Contact page to send a request. Please note that we do not ship used items. For a list of our offerings please click here and download the latest pdf of watercraft. This list is subject to change. 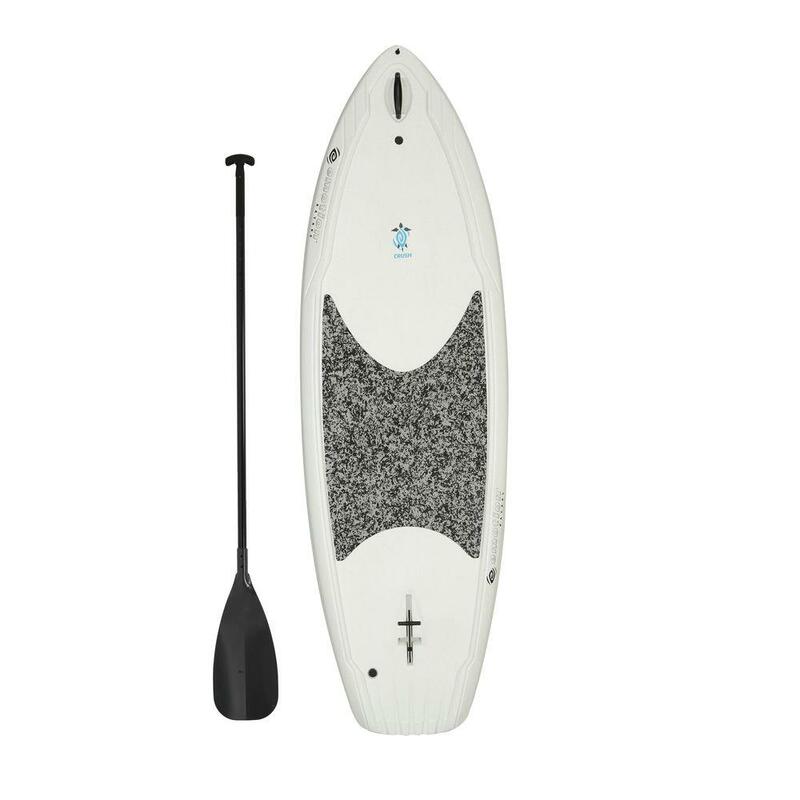 The Emotion Crush Youth Paddleboard is specifically designed for kids ages 5 and up or up to 130 lbs. 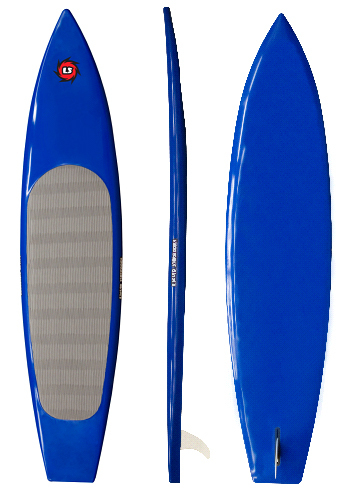 The wide stance provides great stability and tracking in both surf and flat water. The fin easily folds into the bottom of the board for safe, out of the way storage. As one of the most capable sea kayaks on the market, the Tempest is beginner-friendly, but packs performance design features excellent for experienced paddlers. Shallow V-hull gives great control, edging, and speed in calm or rough water conditions and features a drop-down skeg. Bomb proof roll? This boat makes it easy! An ideal coastal explorer with great maneuverability and superb rough water performance. Full-chined hull provides great stability and quick response to edging and lean turns. Bow, day, and stern hatches with bulkheads. Staff favorite. Will not last long at this price. 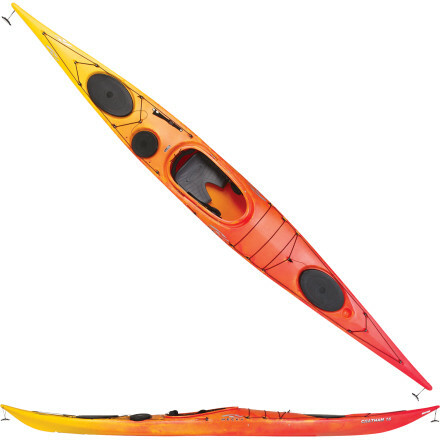 The Looksha 17 easily accommodates medium to larger paddlers and all of their gear. And when stowing gear, you'll find the bow and stern hatches are the largest hatch openings ever designed by Necky. High initial stability, excellent glide and outstanding acceleration ensure that strong currents, tides or wind-chop up to four feet won't slow you down. Necky designed the Eliza Kayak specifically for women paddlers looking to tour in a lightweight, maneuverable kayak. Pack your weekend gear into the bow and stern hatches and cut through strong headwinds thanks to the Eliza Kayak's low deck profile. 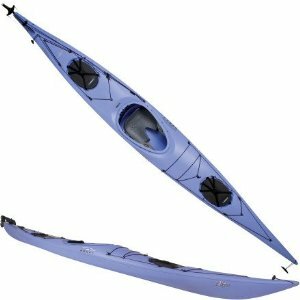 A staff Favorite, the Eliza Kayak responds well to women paddlers who bring up to 160 pounds of their pure paddling excitement to the water. 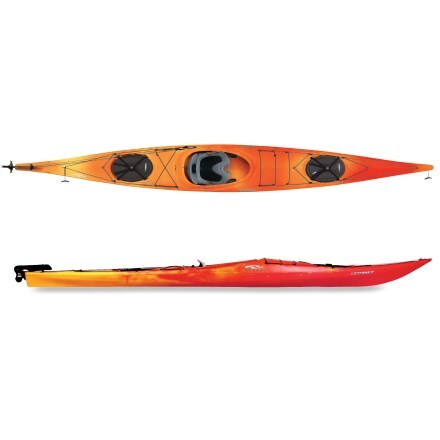 This is a high performance expedition, kayak allowing for a generous amount of gear and is equipped with three watertight VCP hatches, three integral bulkheads, cable operated retractable skeg system, perimeter deck lines and bungees, and a wide comfortable backstrap, as well as Yakima footbraces and adjustable thigh braces. The kayak is built with a standard keyhole cockpit (29.5"x16"). Built for paddlers of all sizes, the Aquanaut is a staff favorite. Kid's Boat! This is a junior touring boat for those younger water lovers that weigh up to 120lbs. Integrated seat and foam floatation pillars help make it light weight, so it's easy to handle. This is a great starter boat!